If this game sounds like yet another pokie themed around American wildlife then fear not, as Cool Wolf sees a mild-mannered teen turn into a werewolf with attitude. It’s similar to the Teen Wolf movie in atmosphere, with a bit of American Graffiti thrown into the mix as well, all of which makes it a good-looking game and with free spins, stacked wilds, a payout structure that does away with winlines and the chance to get several prizes from a single spin, it plays pretty good as well. Cool Wolf has been developed by the well-known, trusted and reliable Microgaming company, and many of these features have proven popular across much of their range. Microgaming have often been guilty of releasing pokies with very plain graphics, but Cool Wolf can’t be accused of that, as the cartoon style is outstanding and the symbols really catch the eye. A backdrop of the Los Angeles (presumably), skyline complete with palm trees and the Howlingwood sign sets the reels off nicely, while the symbols themselves consist of the high card icons J, Q, K and A plus images of sunglasses and cash, a movie theatre showing Cool Wolf, a souped-up hot rod and some giggling cheerleaders who could be the objects of Wolf’s affections, or maybe just his dinner. At the top of the food chain we find the teen who can appear in human form or as the wolf. The first thing to note here is that Cool Wolf features the 243 Ways to Win system that’s something of a Microgaming signature and means that traditional paylines are dispensed with. Instead we get a win each time identical symbols land on 3 or more adjacent reels, as long as the line starts from the left side. As the feature name suggests, there are 243 different ways that this can happen. The downside of this is that it’s not possible to activate just a few lines or try out the game with a micro-stake. The minimum wager is 0.50 per spin but that can be adjusted right up to a substantial 250.00, or players can stop at several points in between. The paytable is there to let players understand what they will get for each combination of symbols, with the card ones being of lower value than others. At the bottom we find the J which at a bet of 0.50 will pay out between 0.02 and 1.00 should 3, 4 or 5 land in the right places, while our hero is worth from 0.30 to 5.00 for the same combination and stake. Cool Wolf has plenty of extras to entice players with, starting with a wild symbol which is simply the game logo and which works by acting as any other base symbol to help make up a winning line. However, in the Howling Wild feature it can randomly appear stacked across any of the middle reels and if necessary it stays in place while the others spin until players get a win. In normal play it will still be stacked on reels 3, 4 and 5, which can lead to several winning lines being completed at once. A scatter symbol is worth multiple times the total bet amount when it appears in any 3 or more spots on the reels, while a free spins symbol triggers 15, 20 or 25 spins depending on how many land at once. During the free spins round the Rolling Reels feature which is another Microgaming speciality will be in effect. Any symbols that make up a win will disappear, which leaves empty spaces for those above to drop down in to. This in turn makes room for symbols to fall from above the screen and can lead to further winning combinations. What makes them even better is that for each consecutive win caused by Rolling Reels, a multiplier will grow, although getting to the top 10x level would need some pretty spectacular luck. A Howling Success or Barking up the Wrong Tree? 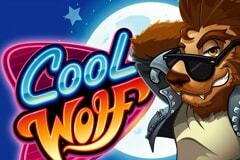 Cool Wolf is a good example of the more up to date pokies that Microgaming are capable of. 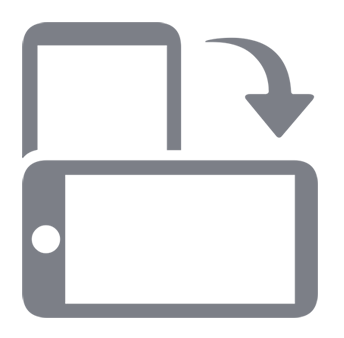 With the notable exception of the film-based games, they have previously specialised in basic 3-reelers, or produced rather plain titles, but as proven here, they have started to notably improve their graphics. As for features, well much of what we see here has been done before on their other games, but that’s certainly not a criticism as the 243 Ways To Win, stacked wilds and Rolling Reels are all rewarding.